To recognize the 150th anniversary of President Lincoln’s assassination, this article is a follow-up to my last post,“The Funeral of President Lincoln.” If you enjoyed this, you may also like my short piece on Minnesota newspapers’ reaction to the death of Charles Darwin. 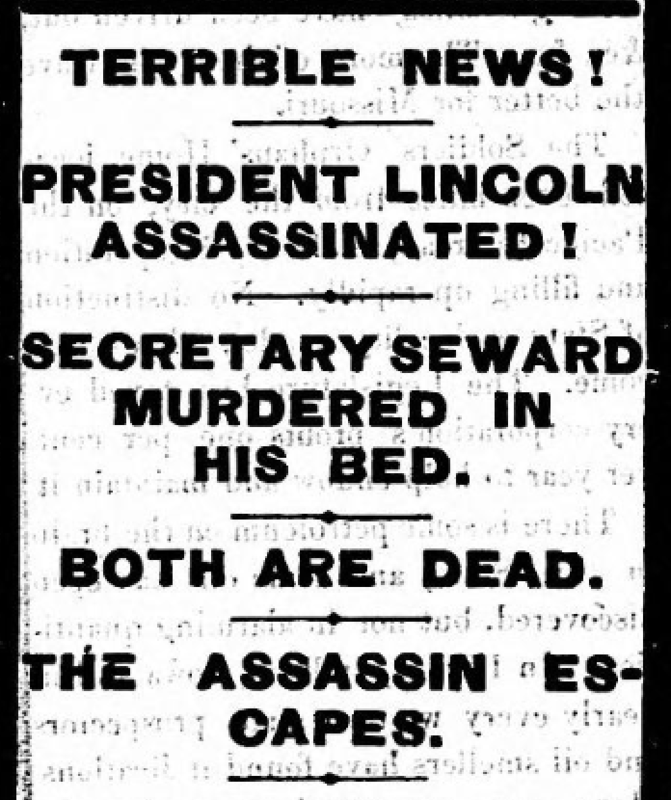 “President Lincoln Assassinated!”, The St. 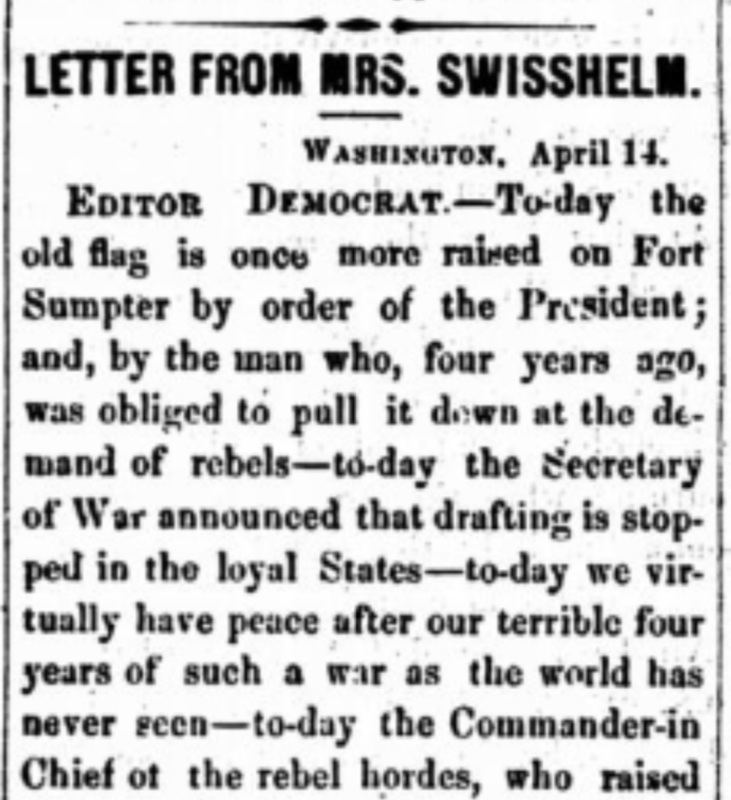 Cloud Democrat, April 20, 1865. On April 15, 1865, lying in a boarding house across the street from Ford’s Theater, President Abraham Lincoln died, the victim of an assassin’s bullet. What was a week celebrating an end to four years of bloodshed was capstoned by one last tragedy. Though not everyone felt the same way, tens of millions mourned their fallen hero, and in Minnesota as well as elsewhere, this sorrow turned into disbelief, into anger. Lincoln has a special importance in the history of Minnesota not only because of his political legacy but also the fact that 1860 was the first presidential election the state could vote in. Although a few counties went for the Democratic candidate, the state overwhelmingly handed its four electoral votes to Lincoln. Months later when the Civil War broke out, Minnesota was one of the first to commit troops to the Union cause, and while the state and administration did not agree on every issue, the two were undoubtedly close. This made it all the more traumatic when news of the assassination reached the state. As the newspaper sorted through the details of the assassination — that John Wilkes Booth was the perpetrator and Secretary Seward a second victim — it worried about what was next. As Mitchell noted, the nation had lost a part of itself: “The heart of the nation had twined around that great body and taken it to themselves, and the great soul it contained had become a part of their soul.” For many, including Mitchell, Lincoln was an American Moses leading the country toward the Promised Land but never reaching it himself. Yet with the prophet gone, visions of this land became dubious and for some stained red. 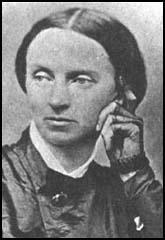 “Letter from Jane Grey Swisshelm,” The St. Cloud Democrat. April 27, 1865. It is sickening to pass the White House … so recently all gorgeous with flags and all manner of festive devices blazing with many colored lights, and reverberating with triumphant music, and witness the change to the sable emblems of woe. What made these garments even worse was the knowledge that just behind that draped wall lies the mangled body of our sainted, martyred President, and this visible presence adds greatly to the sorrow and gloom. The world at large—the masses of the Northern people—had no more just idea than had Mr. Lincoln of the animus of this most fiendish Rebellion[.] He was the one to test generosity, magnanimity, Christian charity and all that class of virtues to the utmost limit, and we have the result. As Christ was murdered by those He came to save, so has President Lincoln been sacrificed by the wretches he would have shielded from the just punishment of their crimes. With the president gone, “Who now will stand between them and the reward of their two centuries’ of crimes against our common humanity, the thought of which makes the blood curdle in one’s veins?” She demanded that Lincoln’s successor, President Andrew Johnson, not steady his hand in retaliation: “Nations have no hereafter, and National sins must meet their punishment in this life.” This was a position she maintained in successive letters to the newspaper, recanting any benevolence she may have once shown, insisting that “The nation can never be safe while these, her implacable and wily foes, are above the grounds” (May 6, 1865). In the months following, Swisshelm was not alone in her bloodlust. As the “Radical Republicans” in Congress sought to punish the South and ensure the rights of free blacks, President Johnson advocated a more moderate approach. Trying to reunite the country as quickly as possible, his policies alienated individuals like Swisshelm, who feared weakness would validate treason. The new president’s efforts backfired when, in 1866, the Radicals swept the midterm elections. Although Reconstruction may not have affected Minnesota in the same way it did the South and New England, it did ignite a debate over how to reach the “Promised Land” Lincoln prophesied. While Minnesota sent several of these Radicals to Washington (including former Governor Alexander Ramsey), on the state-level, Republicans pushed for a black suffrage amendment to the state constitution. This, though, was voted down twice (1865, 1867) before passing in 1868 and was the first step on a path the state would take nearly a century to travel. There really is no modern parallel to the anguish many Americans felt when President Lincoln was assassinated. Right when the nation’s bloodiest war was drawing to a close, it lost something greater than a man: it lost a symbol. As the “Great Emancipator,” Lincoln represented a vision of what the United States could be, and as that “great soul … had become a part of [the people’s] soul,” for many it must have felt as if much more than just the president had died that day. Upon hearing the news, how many asked, What now?